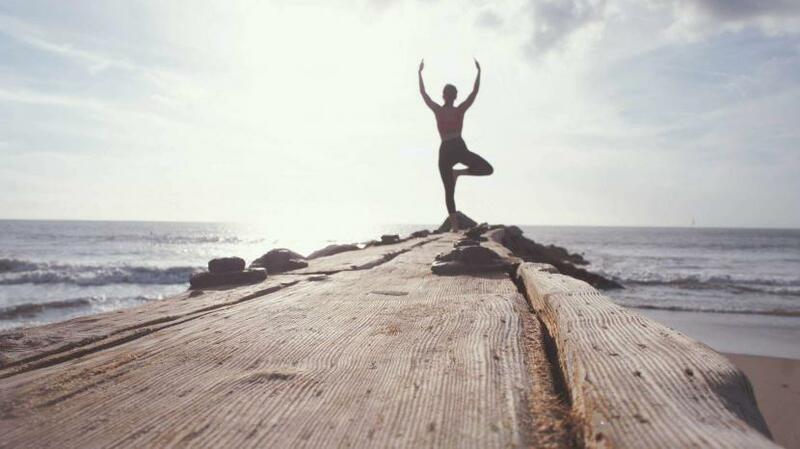 A brief reminder about what yoga is : the practice of a set of postures and breathing exercises, which aims to provide physical and mental well-being. There are several categories and each focuses on a specific aspect of this practice. Dynamic yoga: a sequence of postures done to the rhythm of breathing, flexibility and strengthening of the body by improving the cardiovascular system. Iyenga: more static, that emphasizes body alignment and develops an understanding of your body. Hatha which is a softer version, practiced more by the seniors. For people with back problems it is better to choose a less dynamic yoga and a softer yoga like Hatha and Iyenga. Yoga provides a number of physical benefits, including muscle relaxation. Some postures help to improve muscle strength gently, others work on balance. It helps to reduce stress. During the session the attention is entirely focused on the body and breathing to be in the “here and now”, the present moment, which is a form of meditation. Yoga invites us to take time to listen to our bodies, attention is constantly brought back to the breath, we develop our capacity and concentration. All attention is required to maintain posture. It is also ideal for surfing, to relax, to relax your muscles and also to refocus on yourself. After a Surfing session, there is nothing better than a Yoga session to avoid aches and pains and stretch gently. To complete these few exercises, Lucy Forster Perkin offers you a 10-minute sequence! You too relax yourself with a few minutes of yoga each day.